Unexpected results are sort of the point of lab experiments. Laboratory studies reveal the unforeseen and if they didn’t, there would seldom be a reason to perform lab studies. It can be problematic when scientists don’t get the results they wanted or thought to expect but other times new data can be the result of the unexpected, and lead to discoveries no one thought to check for in the beginning. Some famous discoveries happened on total accident throughout scientific history. The latest unintentional discovery might make one of the most aggressive types of cancer more treatable than ever before. Scientists at Stanford recently discovered a way to force leukemia cells to become mature immune cells do something amazing. The researchers were actually trying to stabilize cancer cells so they could keep them alive longer in order to study them. The method of keeping the cells alive allowed the cells to develop into immune cells that may one day help the immune system attack cancerous tumor cells! You can read the study in full at Proceedings of the National Academy of Sciences. 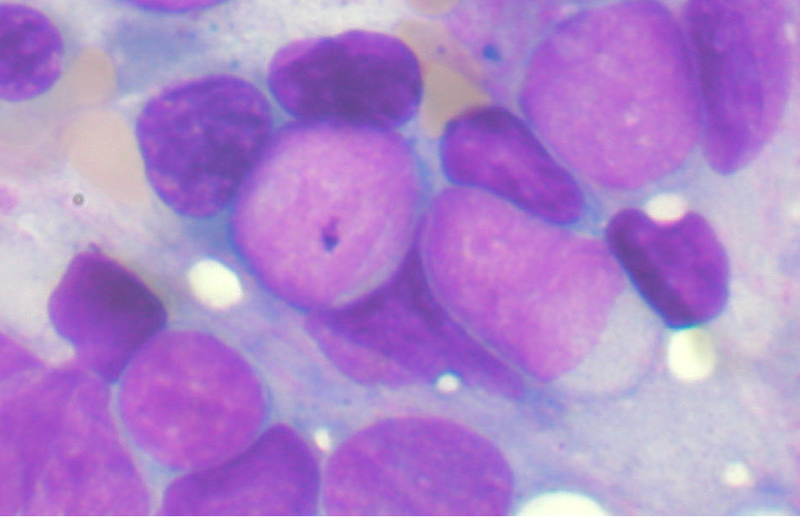 Acute lymphocytic leukemia (ALL) is the name for a particularly rapidly-progressing cancer where the immature cells that should differentiate and become white blood cells or lymphocytes instead become cancerous. ALL has several classifications based on which kind of lymphocyte (B cell or T cell) the mutated cancer cell originated from. The scientists were simply investigating a common type of lymphoblastic leukemia, an acute cancer called precursor B cell ALL, aka B-ALL. B-ALL starts as a rogue B cell mutating away from usefulness during an early part of its maturation. The immature cells can’t fully differentiate and become the B cells they were otherwise destined to be. The flawed B cells lack the transcription factors required for normal development. Transcription factors are basically proteins that attach themselves to sections of DNA and are then supposed to switch designated genes on or off, depending on the type of transcription factor. Did you follow that? It’s a bit technical for the layman but most of us understand DNA. Transcription factors are basically a DNA reader than helps the cell decide which part of your DNA it should use to become a specific type of cell. So, when a transcription factor messes up and activates the wrong section of DNA or doesn’t activate the correct section, it can cause mutations where the cell doesn’t develop or develops poorly. B-ALL is one of the most nasty types of cancer and the prognosis for victims is not good. The Stanford U team wanted to study this villain but had trouble keeping the cancer cells alive outside of the victims body. One of the techniques they used to attempt to keep the cancer cells from dying involved exposure to a certain transcription factor. The exposed cells began to grow and change shape, and the new morphology was a type of white blood cell called a macrophage, normally responsible for attacking damaged, mutated cells or foreign material. The team recognized the cancerous cells behaved the same as macrophages in various ways such as surrounding and engulfing bacteria. Most notably, the pseudomacrophages from the cancer cells of mice added back into the cancerous mouse did not behave as a cancer cell, and the mice who did not have cancer did not develop cancer after being exposed. The Stanford researchers believe the newly converted cells are no longer cancerous. Furthermore, they might even help the body’s immune system regroup and attack other, still cancerous cells. It could work because macrophages normally collect DNA tags from abnormal cells they encounter and also mark foreign material so that other cells in the immune system know what to attack. Since the false macrophages were originally cancerous cells, they will, in theory, already possess the correct signals that recognize the same kind of cancer. Now that this principle has been identified as a possible method of treating one cancer, it might open the door to helping the immune system combat other cancers.